I have now visited Prague four times, three of them in the last three years. It’s always a pleasure to be back in this beautiful city. There’s just so much to love about this place. 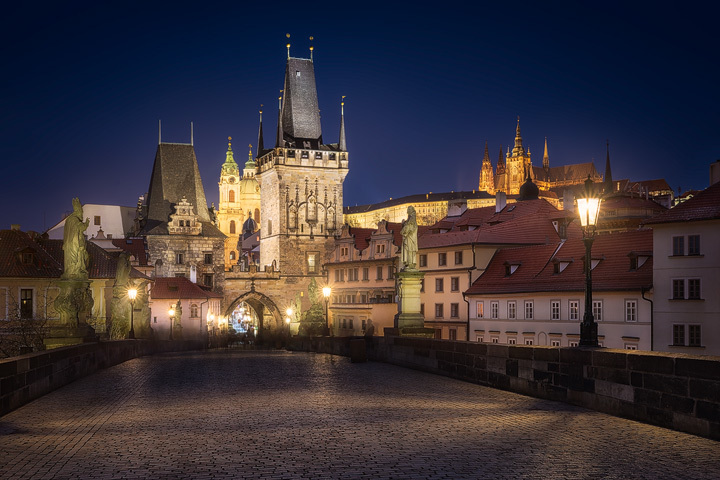 In this short article I want to focus on some of the aspects that make Prague the perfect destination for photographers. First there’s the river Moldau with it’s countless bridges, the most famous of them being Charles Bridge. No matter from what shore you are photographing, the views are always picturesque. 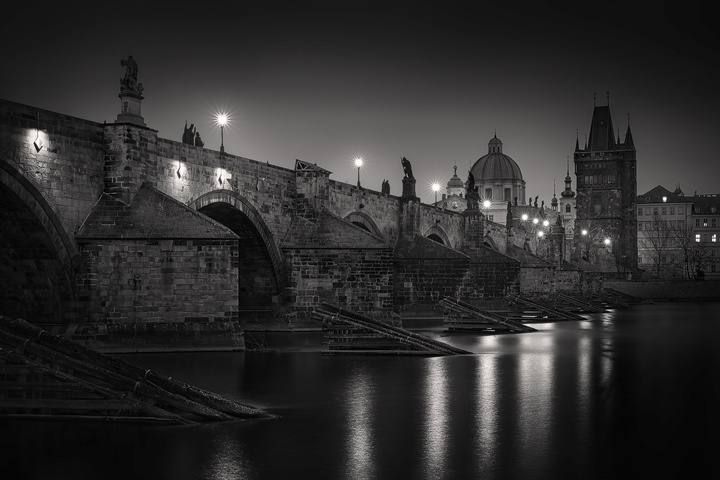 This also means that Charles Bridge is the perfect photo location during both sunrise and sunset. 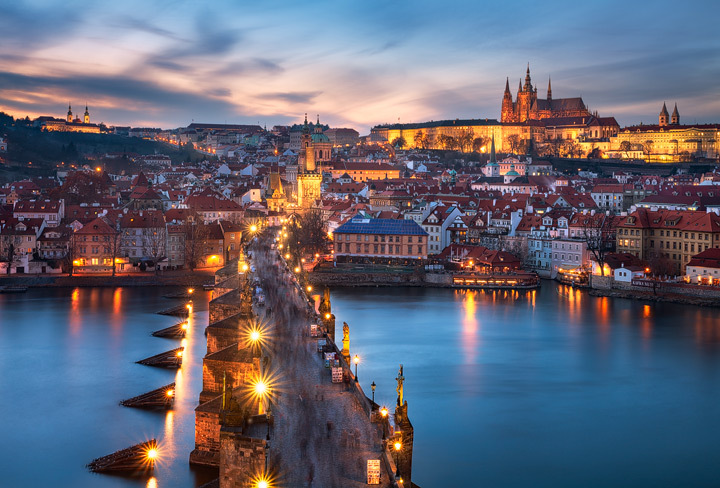 One of my favourite times to explore Prague is during blue hour. In the evening the steady flow of people is great to create interesting long time exposure photos with the masses flowing by as ghosts. 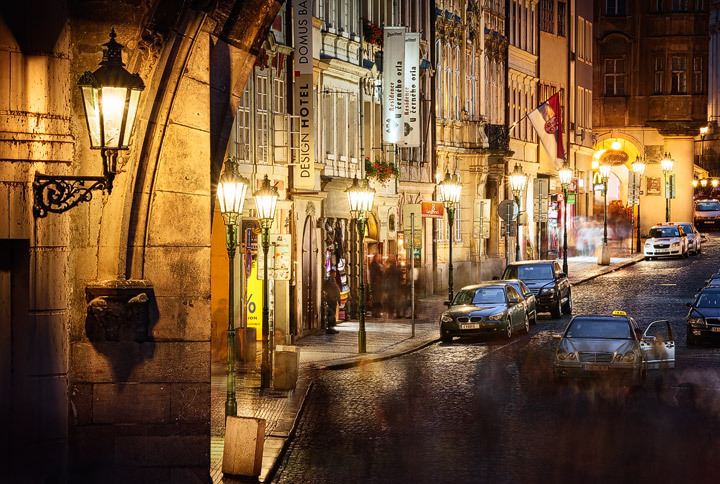 The beautiful streets and alleys provide the perfect backdrop for such photos. Another thing that makes Prague special are the multiple towers throughout the city. 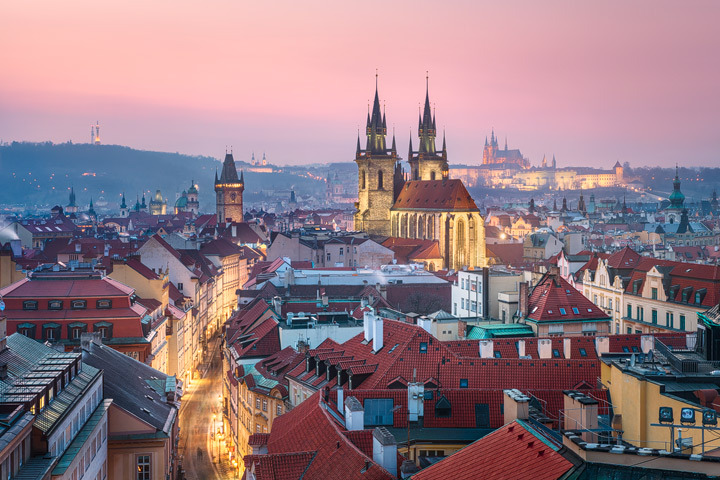 Not without reason is it also called the city of a hundred spires. The best thing about those towers besides them being a great subject in photos, is the fact that you can access many of them. 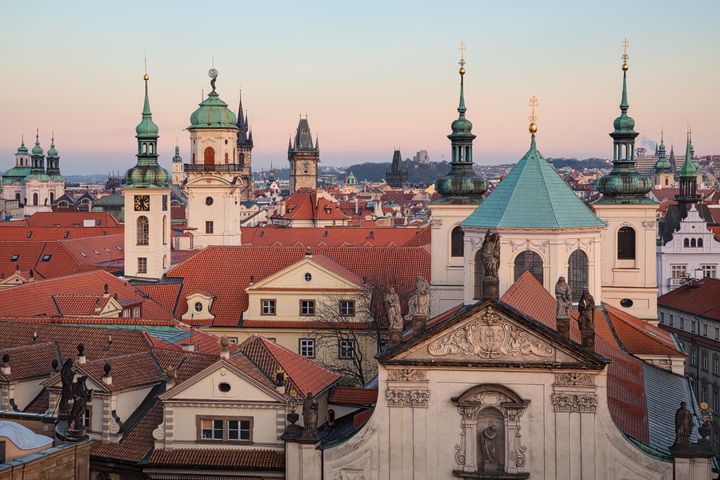 There are a lot of great views over Prague to be had from it’s roofs and towers. And even if the weather doesn’t cooperate, you can get great photos in this city. The historic architecture lends itself perfectly to the creation of some more gloomy photos. If there’s a grey sky the option is always to go for black and white, which in my opinion captures the historic character of this city very well. 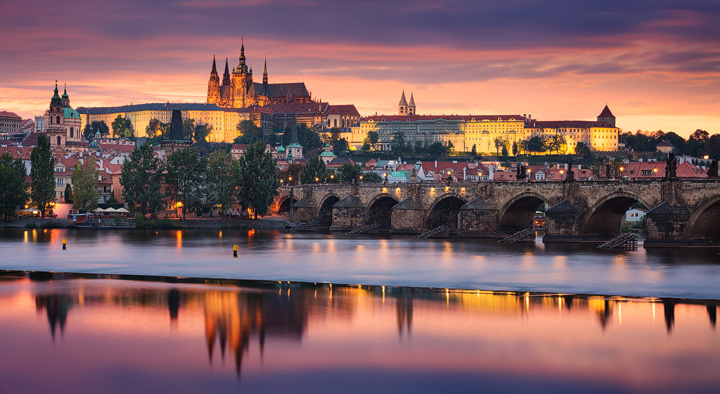 Those are just a few reasons to visit Prague as a photographer and the photos in this article show only a very small part of Pragues beauty. Best is to visit and see for yourself. * This workshop will be held in german as main language. Besides photography tuition it will also contain a detailed post processing session.